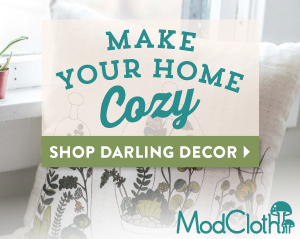 So today I have a new recipe for you! I’m a huge fan of bagels. Like. Really. Bagels are fantastic. Especially cinnamon raisin bagels. 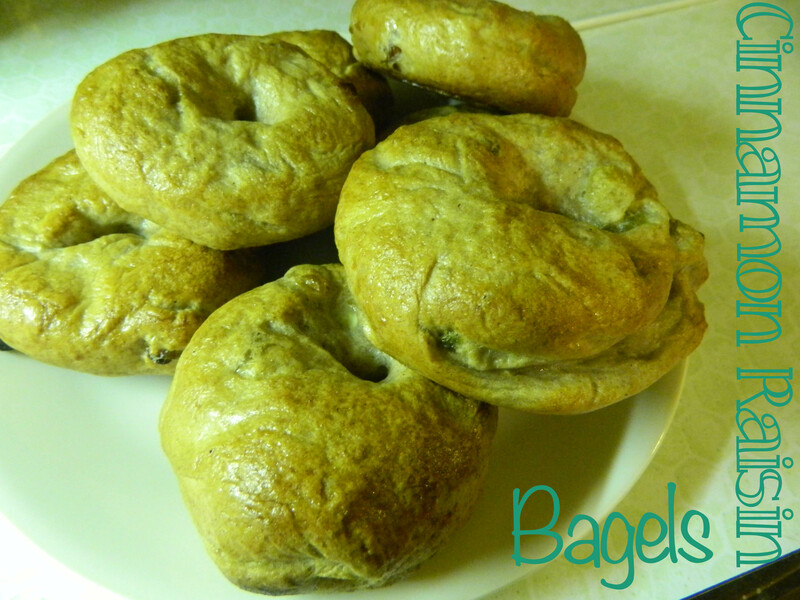 Cinnamon Raisin Bagels:Makes Eight Bagels. Add the sugar to the warm water and stir until the sugar is dissolved. Now add the yeast. 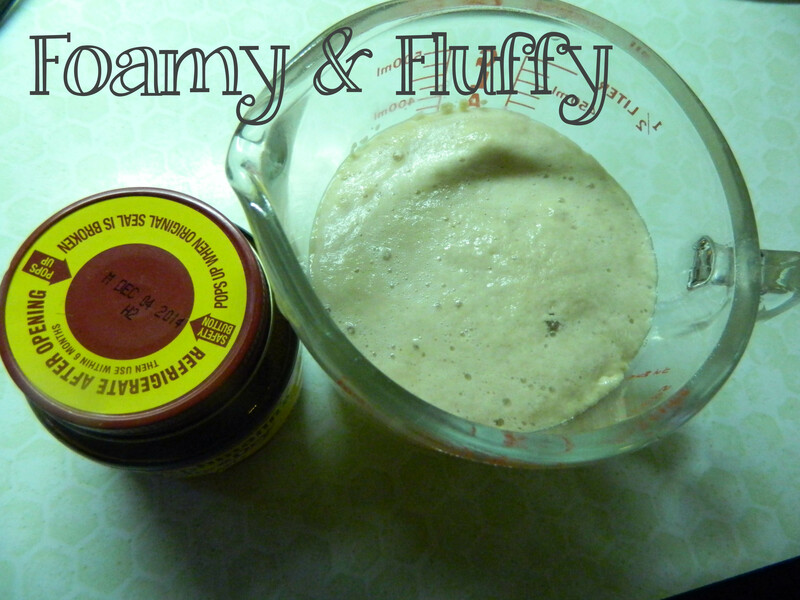 Allow this to sit for about 8 minutes until the yeast is all foamy and fluffy looking. 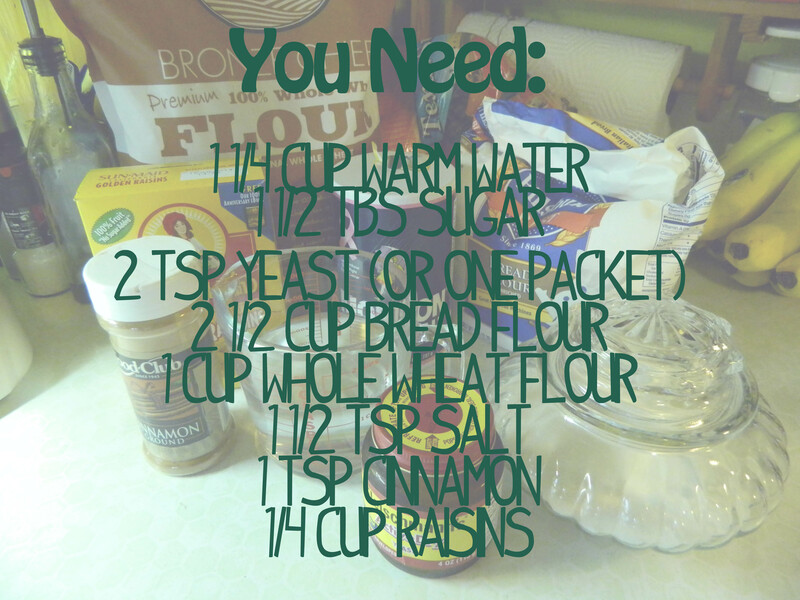 Mix together all the flour, salt, and the cinnamon. 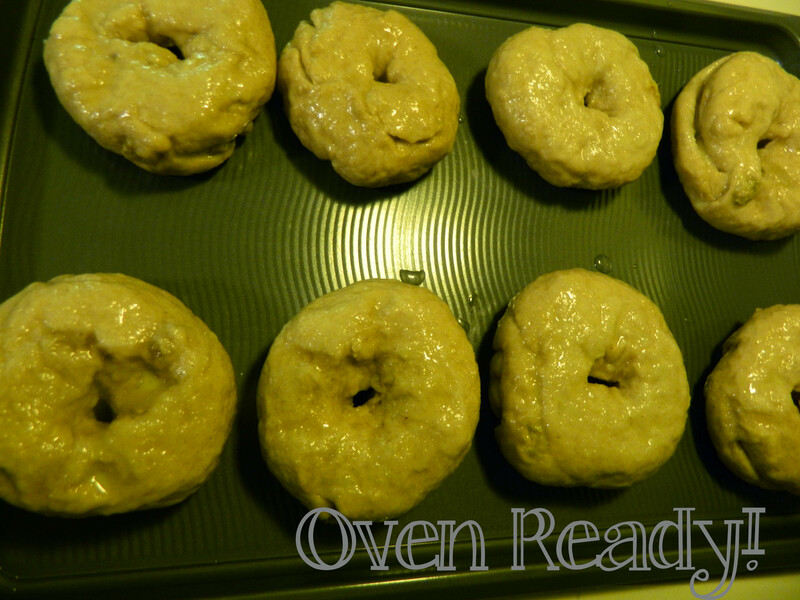 I used 2 1/2 cups of bread flour and 1 cup of whole wheat flour. If you want you can just go ahead and use all normal bread flour. 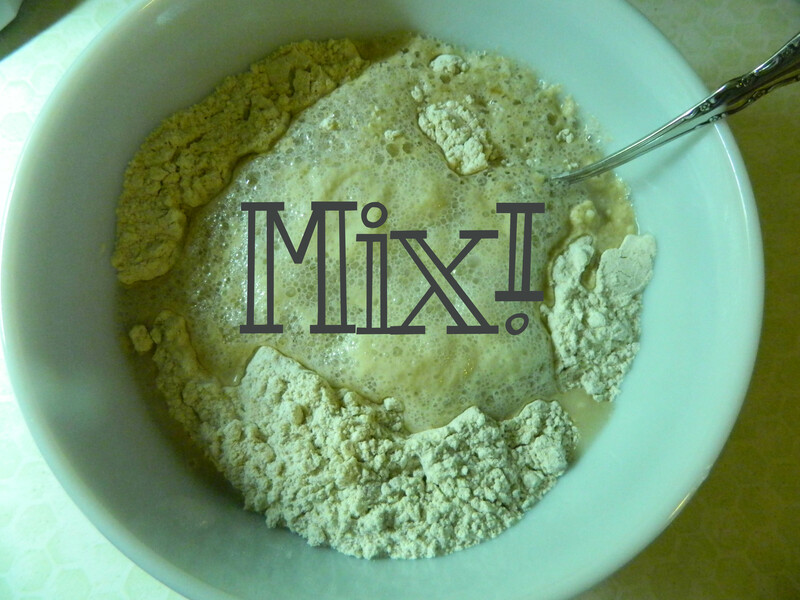 I just really like whole wheat things… Once that’s all combined, add the yeast mixture (now all foamy) and mix until a ‘shaggy’ dough is formed. 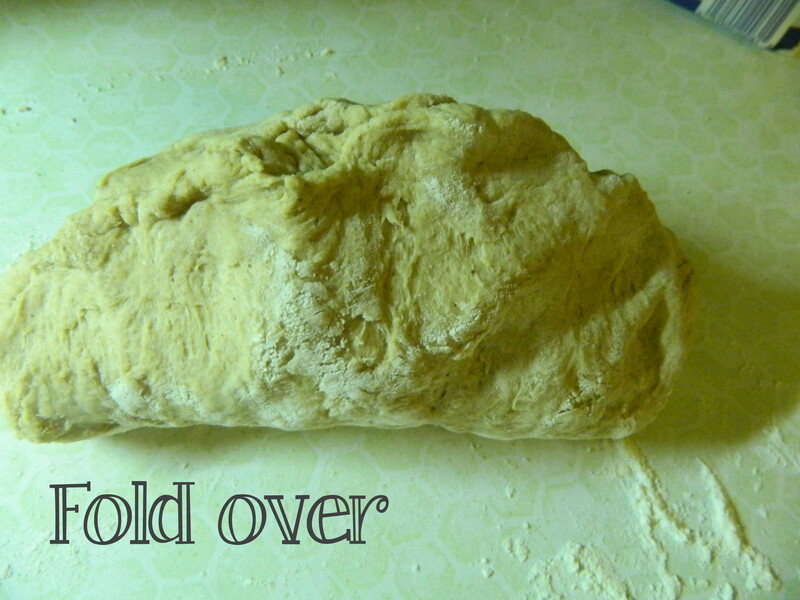 Turn the dough out onto a clean and lightly floured surface and kneed for about 5 minutes. 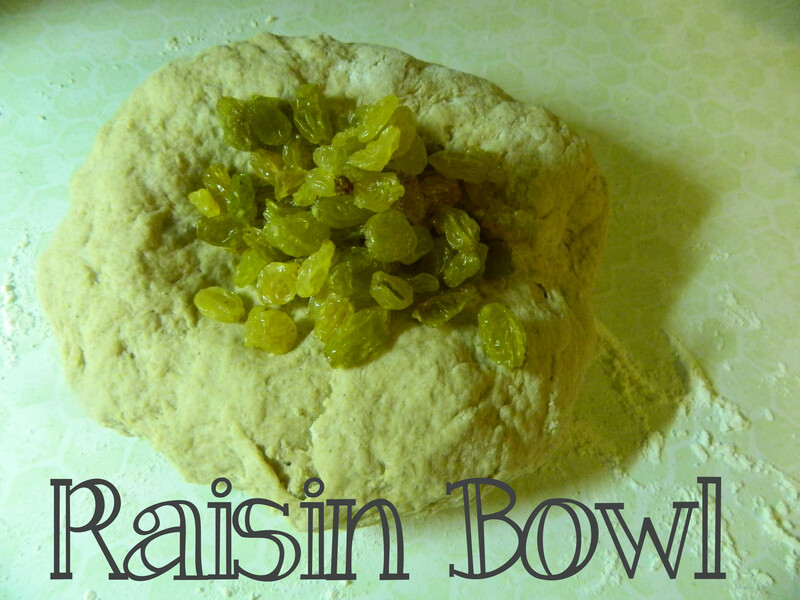 Now create a bit of a bowl and add the raisins to it. I used golden raisins… mostly because that’s what I had available. Use any kind of raisin your heart desires. 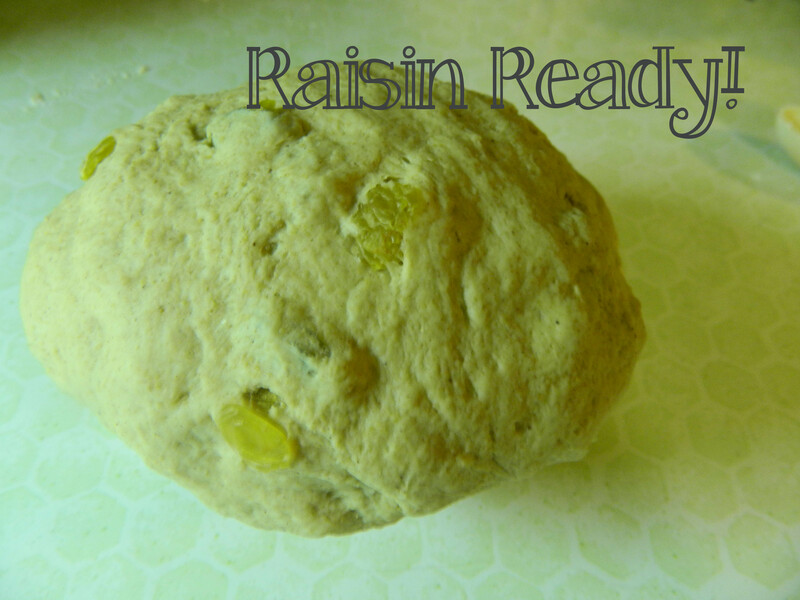 Fold the dough up around the raisins and continue kneading for a few more minutes until the raisins are evenly distributed. 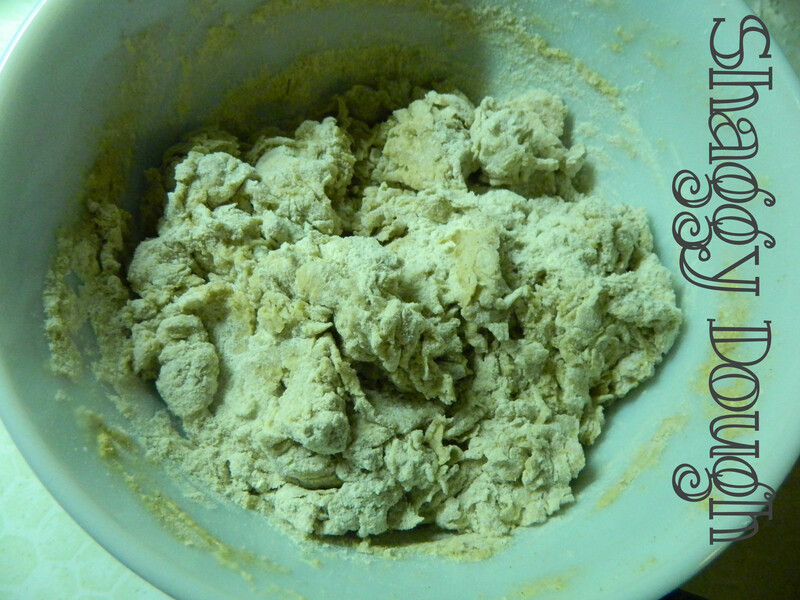 Place the dough into a lightly oiled bowl. 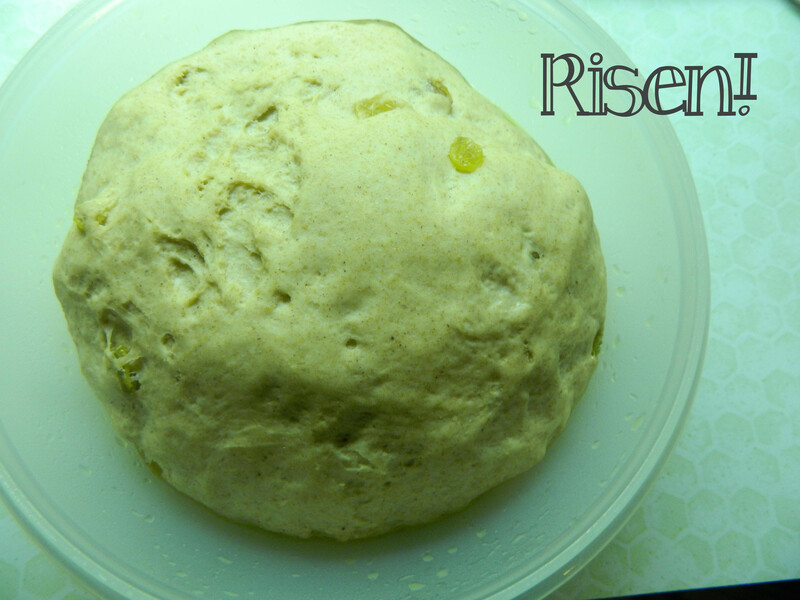 Cover and allow to rise in a warm dry place until doubled in size (about an hour)… orrrrr use my quick rise method to cut that rise time in half… that’s what I will be doing! 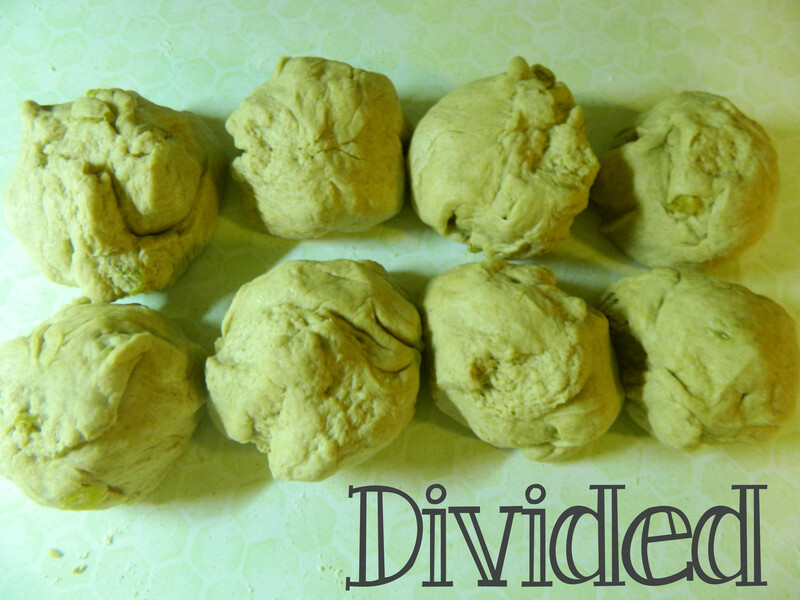 Once the dough has risen, turn it out onto a floured surface and divide it into eight pieces. Roll each piece into a ball and create a hole by pushing your thumbs through the center. 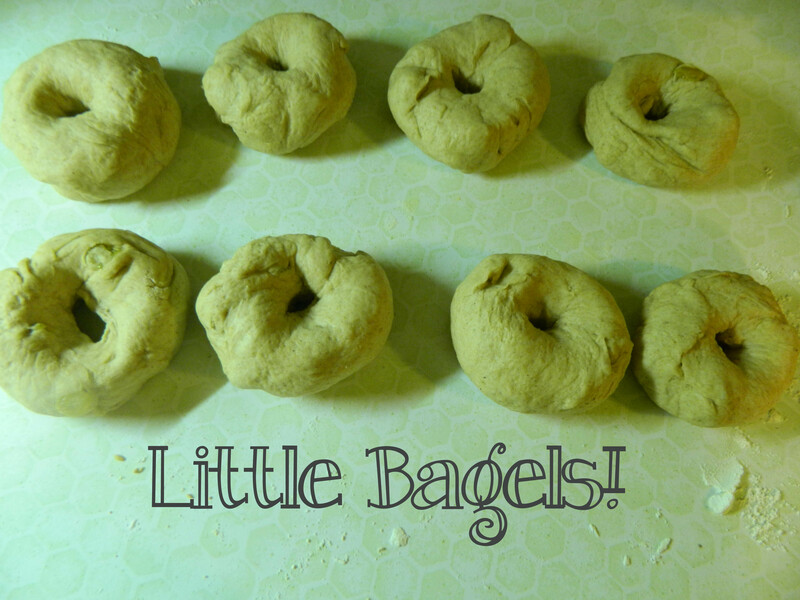 You will then have eight cute little bagels! 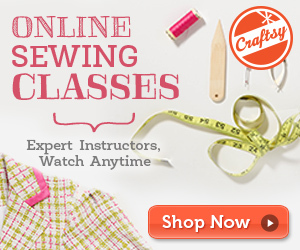 Allow those to rest for another ten minutes while you get a pot of water boiling! 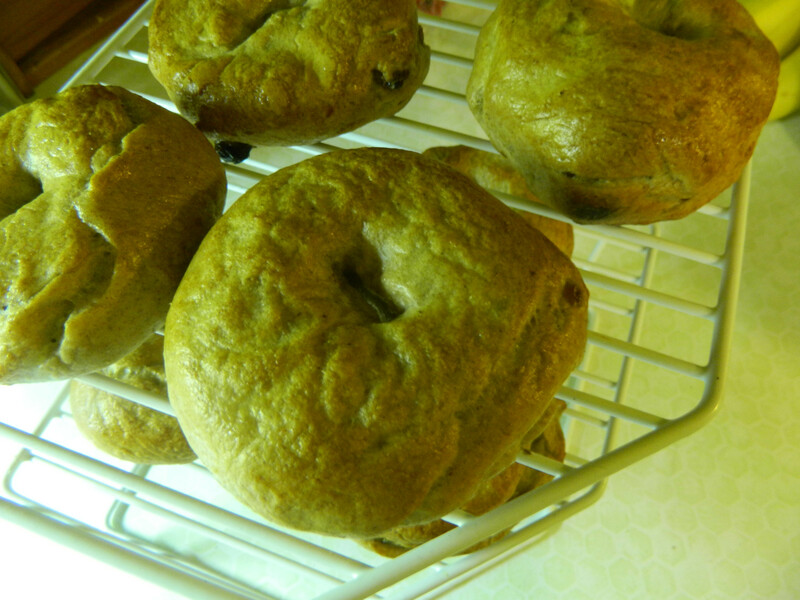 After the bagels have had some time to rest and the water is boiling pretty well, place a bagel or two into the water. Allow them to cook for about a minute and then flip and cook them for another minute on the other side. 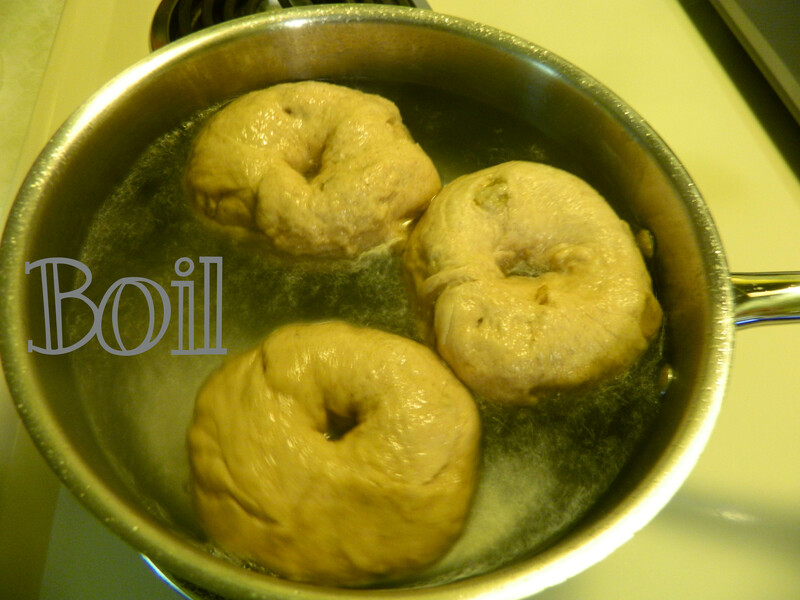 Transfer the bagel to a cooking sheet and repeat until all the bagels have been boiled. 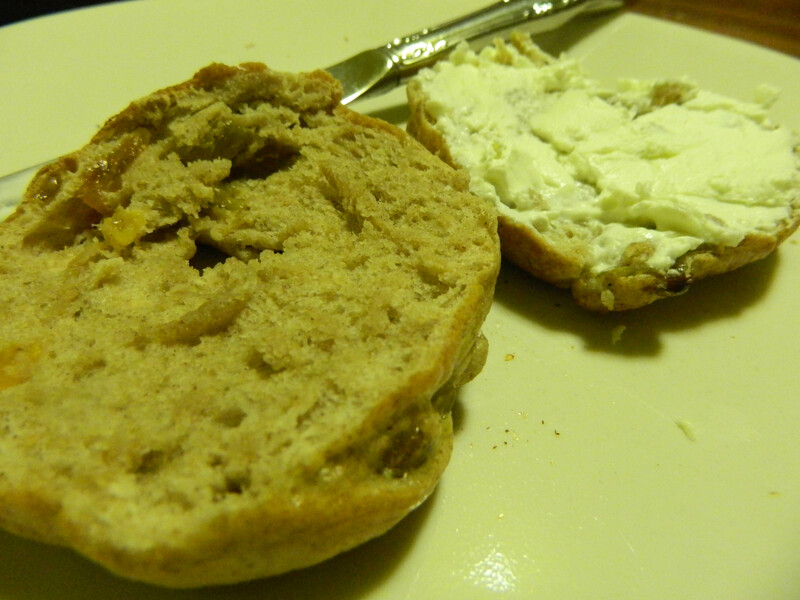 Now, if you want, you can mix one egg with a tablespoon of water and brush this over the bagels. This will give them a pretty shine. Otherwise, just pop them in an oven preheated to 425 for 20 minutes. They should come out golden brown! 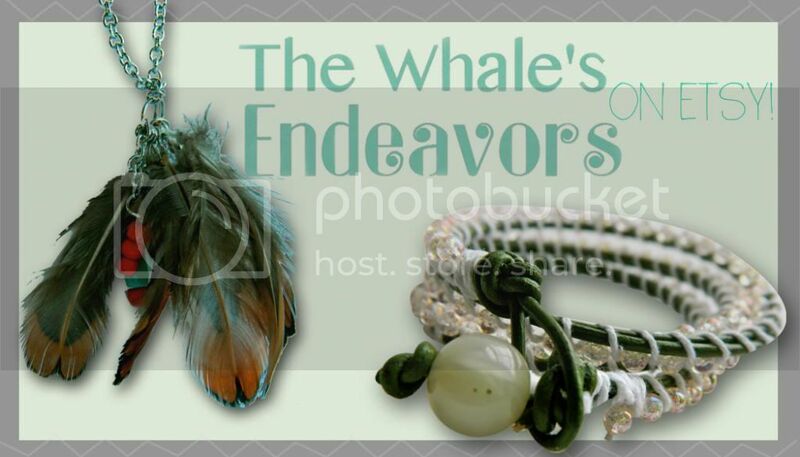 First of all, you may notice that The Whale’s Endeavors has gotten a makeover! I’d been working diligently on this for awhile now. I hope you like it! 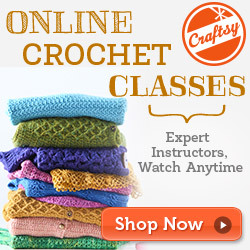 It’s actually still a work in progress… I’m still working hard on adding more tabs at the top for my different categories such as crochet and crafty things, food, ect. For now though lets focus on this particular post! 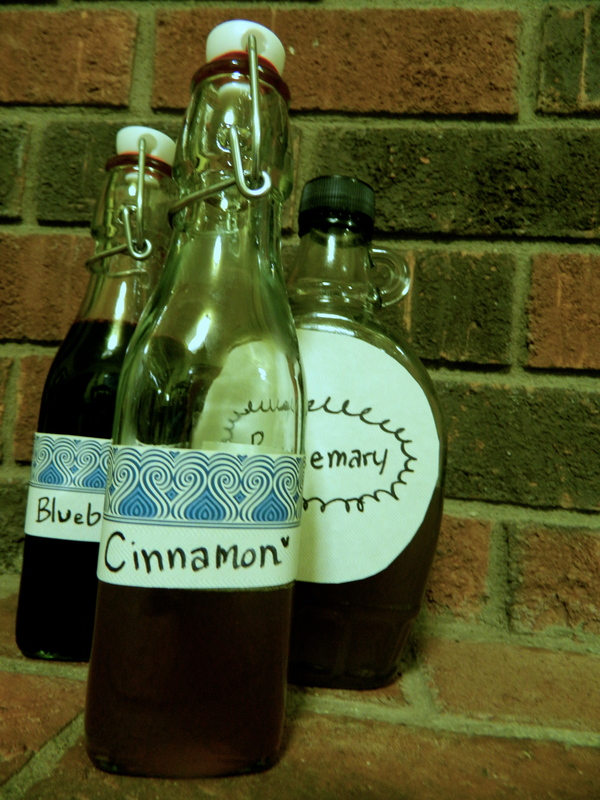 Today I would like to share with you a few simple syrup flavors I’ve been making! 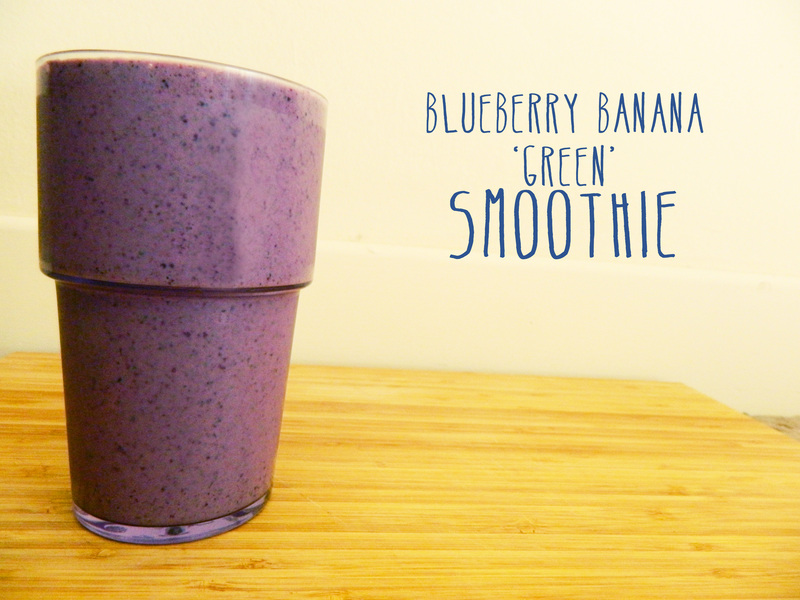 First of all is my favorite so far… blueberry! I’ve been adding this to light flavored teas with some milk (bubble tea!) and it is delicious! 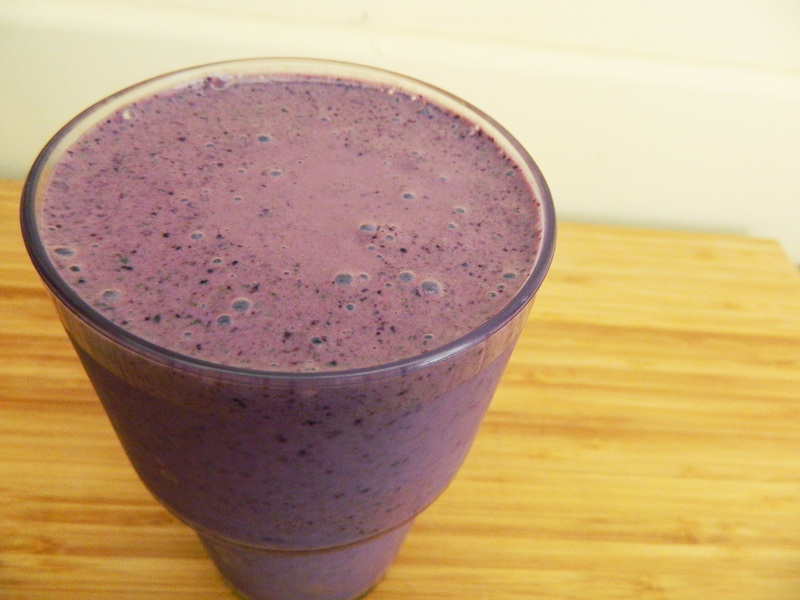 To make this I just mixed 1 part water with 1 part sugar and about a cup of blueberries and boiled it for awhile. 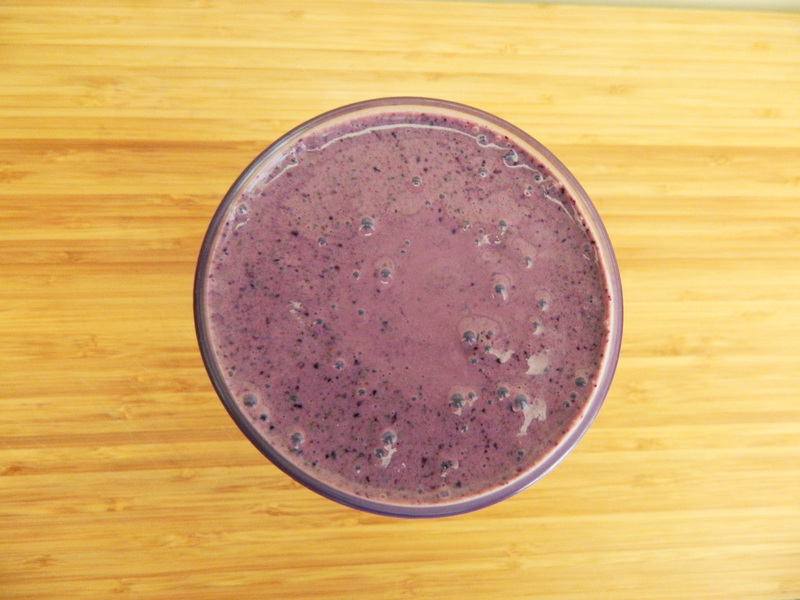 (Tip: smashing the blueberries after they’ve boiled a minute of two helps release the juices and make the syrup more flavorful.) Strain out the blueberries and allow to cool. Fantastic. Second is cinnamon! I love this syrup in my morning coffee. It adds a bit of excitement. 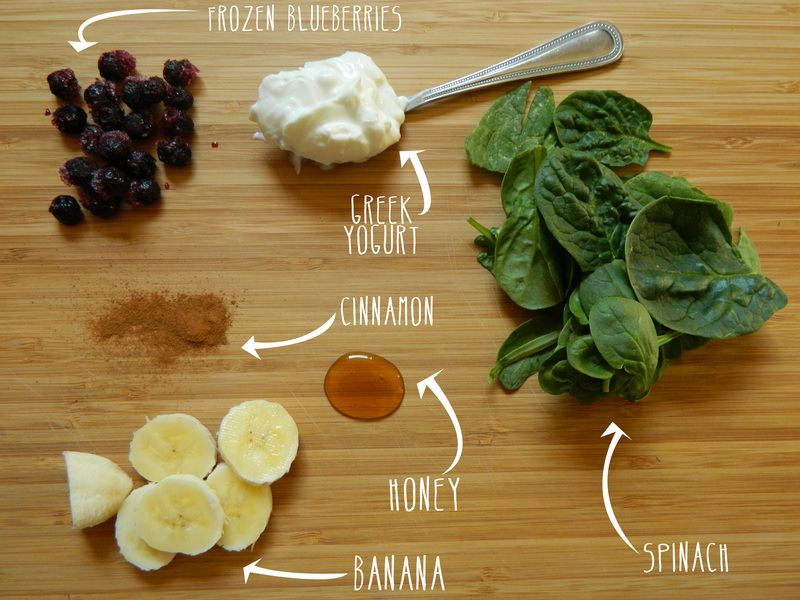 To make this one, substitute the blueberries for two sticks of cinnamon. 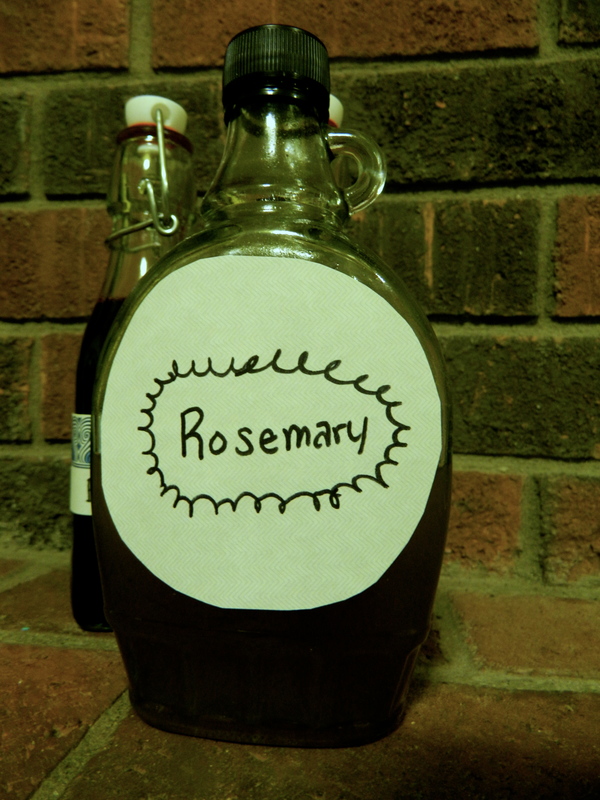 Finally we have my rosemary syrup. I also add this one to coffee. A bit of an odd combination I know, but give it a try! It makes the drink more on the savory side. I love it. 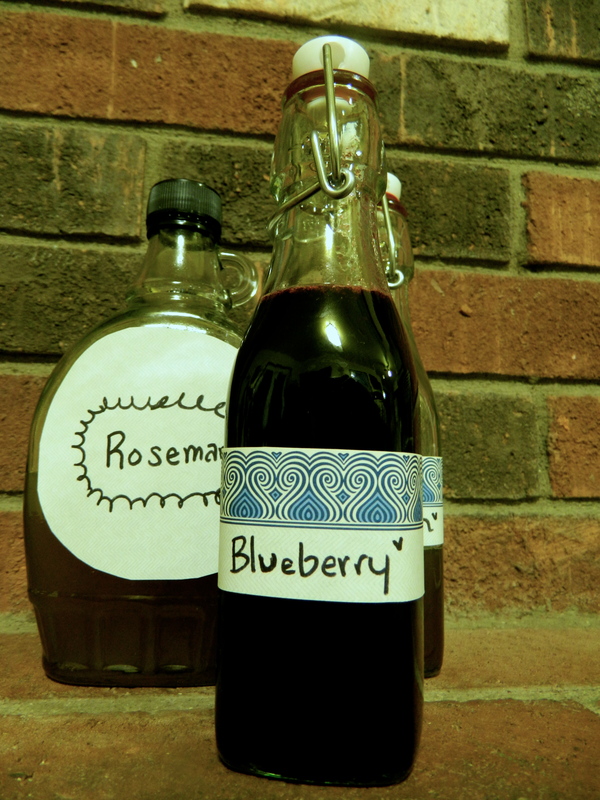 For this one, exchange the cinnamon or blueberries with two sprigs of fresh rosemary. So tasty. 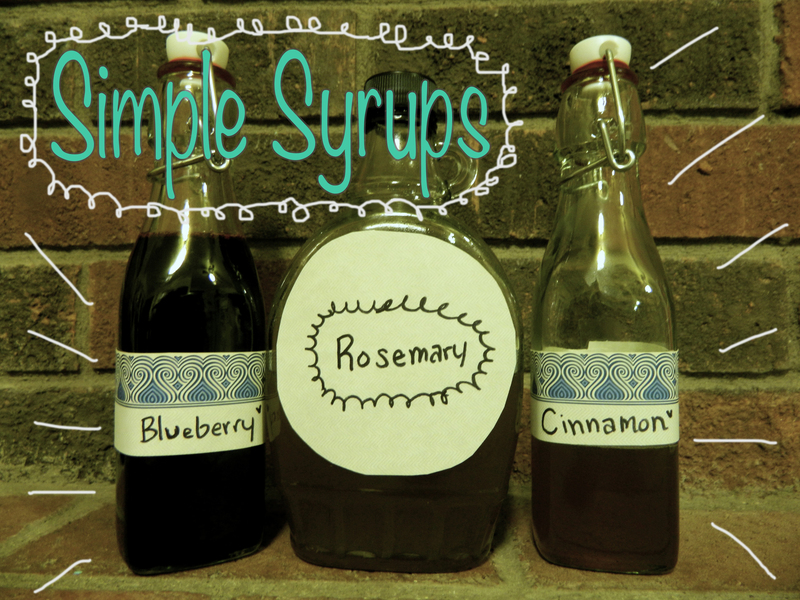 I’m so excited about all of the flavor possibilities there are for simple syrups and they are all so SIMPLE (haha) to make! I plan on creating a ginger, strawberry, honey, and maybe kiwi or mango in the near future! What kinds of simple syrup flavors do you think would be interesting to try?? ?